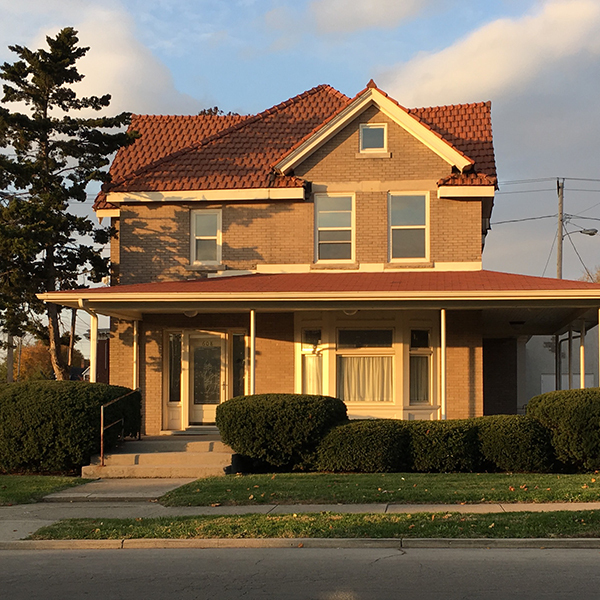 PlySpace is a new, immersive Artist-in-Residence program based in the Emily Kimbrough Historic District in downtown Muncie, Indiana. PlySpace provides dedicated space and time for residents to investigate and pursue their own work. Additionally, it serves as a platform for experimentation and provocation by sparking conversation and collaboration with various Muncie communities. PlySpace is a program of the Muncie Arts and Culture Council in partnership with the City of Muncie, Ball State University School of Art, and Sustainable Muncie Corporation. Learn more about our Partners. PlySpace is supported in part by an award from the National Endowment for the Arts. To find out more about how NEA grants impact individuals and communities, visit www.arts.gov. Braydee Euliss is the Executive Director for the Muncie Arts & Culture Council where she also served as a member of the Board for three years. Previously, she was a Framing Specialist and Gallery Manager for Gordy Fine Art and Framing Company. She is also known throughout the community for her work with We’re Trying Collective that led the design and painting of the mural outside the Mark III Taproom in downtown Muncie and for her role as co-founder and co-host of Final Fridays at the David Owsley Museum of Art. Euliss received the Inaugural Mayor’s Arts Award for Next Generation Artist in 2015 and was named by M Magazine as one of Muncie’s 20 Under 40 Next Generation Leaders the following year. She holds a Bachelor of Fine Arts in Sculpture from Ball State University. Erin Colleen Williams is an artist, arts administrator and educator. Before taking the position at PlySpace, she acted as the Graduate Coordinator of Fine Arts at the University of Pennsylvania, and program coordinator for the Graduate Programs of Museum Studies, Fine Art, and Book Arts / Printmaking at the University of the Arts in Philadelphia, Pennsylvania. She additionally works as an artist and has had solo exhibitions at the Anderson Gallery in Richmond, VA, and the Arlington Art Center, in Arlington VA, among others. Her work has been exhibited at the Philadelphia Art Alliance; the University of Pennsylvania, Philadelphia, PA; Eastern Michigan University in Ypsilanti, MI; Delaware Center for Contemporary Art, Wilmington, DE; Art Space, Raleigh, NC; Travers Gallery, Seattle, WA; among others. She received her MFA from Virginia Commonwealth University. Melissa Joy Livermore deeply values connectedness and introspection. Much of her work, from the deconstruction of canvas—thread by thread, to the use of Instagram as a platform for performative action, lies at the intersection of the two ideas. Livermore graduated from Ball State University in 2015 and was an artist in residence with Transform Creative in Paris in 2017. Many thanks to Karl Hugo Erickson for the AWESOME blind contour drawings!